when you are repairing electrical machines in a home or building, when power supply is switched off from the mains electrical switchboard installed outside the building. There is a chance that someone who is not aware of the same may switch on the mains from outside. This poses a great danger for the technician working inside. 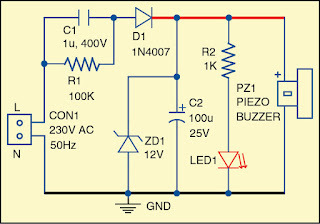 Hence, an indicator like the one described here, which can be plugged into a nearby mains wall socket, might prove very useful for the technician. 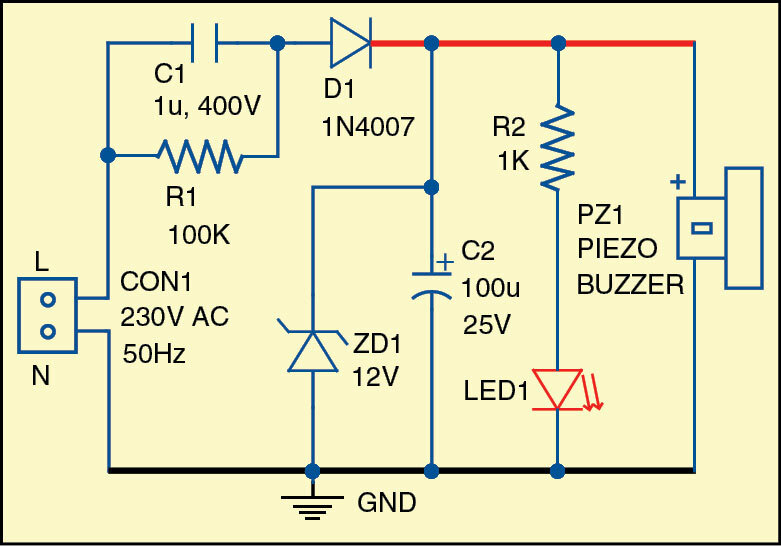 0 Response to "Simple Light and Sound Indicator for Mains Power Supply"